Super Eagles’ Manager, Gernot Rohr has disclosed that Nigeria would commence preparation for next year’s African Nations Cup in Cameroun with tomorrow’s international friendly against the Cranes of Uganda. The match is billed for the Stephen Keshi Stadium, Asaba, Delta State. 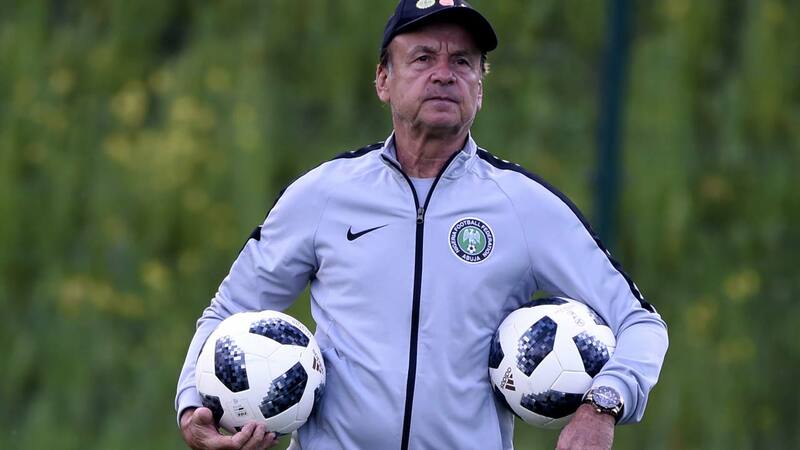 Rohr, who spoke through Super Eagles’ Media Officer, Toyin Ibitoye yesterday said following Nigeria’s qualification for the 2019 Nations Cup, his team required more tune up matches to look at all the available players for selection and also work on building a winning team.He said the programme for the Nations Cup campaign would be ready after tomorrow’s game, adding that he was still on the look out for more players to beef up the current squad. “The game against Uganda is part of the preparations for the 2019 Nations Cup. Uganda is a strong force in African football and we believe that the encounter will help us to look at the lapses in the team and how to correct them. It will also help us to focus on getting the right mix for the Nations Cup,” he said. The Guardian learnt that the Ugandans would arrive in Asaba today and have their first training session in Nigeria this evening.Meanwhile, Sports Minister, Solomon Dalung and Nigeria Breweries Plc have congratulated the Super Eagles for returning to the African Nations Cup after missing the last two editions. The Super Eagles drew 1-1 away to Bafana Bafana of South Africa on Saturday at the FNB Stadium to top group E with 10 points and join the early qualifiers to the competition like hosts, Cameroun, Madagascar, Senegal, Tunisia, Egypt, Morocco and Uganda. 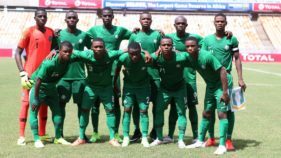 Dalung commended the efforts of the players and enjoined them to reinforce their dominance of the sport as one of the best teams in Africa. “I congratulate the Super Eagles for their commitment, hard work and discipline that brought about their emphatic win. “Having clinched the AFCON ticket with a game to go, I urge you not to relent in your efforts and to begin preparations in earnest for the Cup of Nations in Cameroon,” he said. To the Nigerian Breweries Plc., the qualification shows that the country was on the road to reasserting its position as the best football-playing nation in Africa.“As the Official Beer and Official Malt drink of the Super Eagles, we congratulate the team for returning Nigeria to the Africa Cup of Nations after missing the last two editions in 2015 in Equatorial Guinea and 2017 in Gabon. 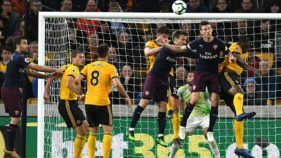 This is a no mean achievement and to do it with a game to spare, just like they did on the road to the FIFA World Cup in Russia last summer makes it all the more spectacular,”said Emmanuel Oriakhi, the Marketing Director of Nigerian Breweries Plc. He added: “As an official partner of the Nigeria Football Federation, we also congratulate the federation for returning Nigerian football to the path of growth and we are happy to be a big partner in the progress of the round leather game.”Oriakhi called on Nigerians to come out in large numbers to use tomorrow’s match against Uganda to celebrate the African Nations Cup-bound Eagles.